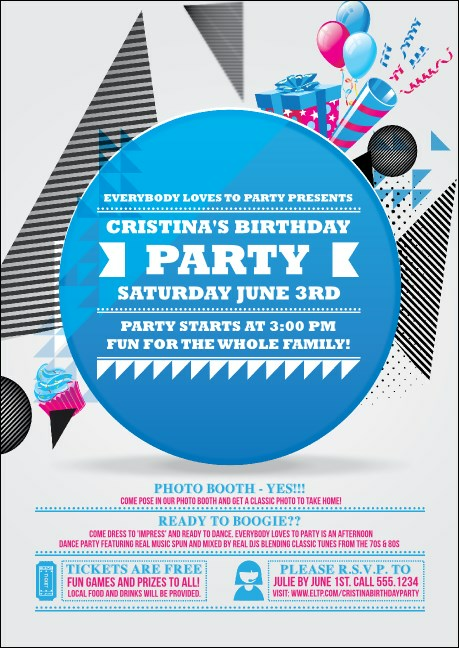 Do your party a big favor and advertise in advance with Birthday Party Geometric Postcards. These modern Postcards feature unique and colorful designs that include images of bright pink and blue birthday must-haves like cupcakes and perfectly-wrapped presents. Add all your important details with space for seventeen lines of text. TicketPrinting.com helps you promote your party like an animal!